M-Th 9-5, Fri 9-3 or by apt. 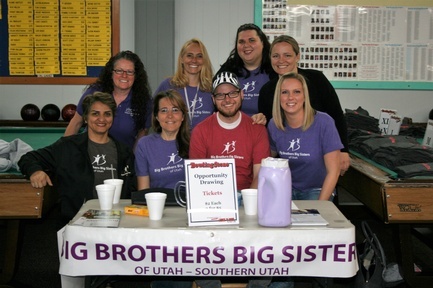 Big Brothers Big Sisters of Utah seeks to engage, connect and support the children in our state who benefit most from a stable relationship with a volunteer adult mentor. We engage children by reaching out to partners in communities who help us identify children, ages 6-17, who want and need a mentor. In 2014 92% of the children we served were from low-to-moderate income families and 63% were members of a racial or ethnic minority. We strive to connect these children with the perfect match – a mentor with similar interests who wants to help just that kind of child. We were able to make 376 new matches in 2014, bringing the total number of children served for the year to 1123. Once the match is made, we support the matches through consistent communication with children, mentors, and parents. This support is a crucial factor in the strength and longevity of the mentoring relationships. Sixty-nine percent of our community-based and 46% of our school-based matches were together for at least 12 months in 2014. Research shows that goodness of fit and the longevity of the mentoring relationship yield the best results for children in the areas of educational success, avoiding risky behaviors and developing socio-emotional competencies.